We try really hard to be good neighbors, have compassion for people, and include our community when we can. Last night, after asking some folks to leave the drum circle, they perpetuated violence against our building and tried to against our staff. This hurts our heart more than I can even express! We have worked SO HARD over the last year to reach sustainability! We have increased our income and are just on the precipice of supporting ourselves. This is SO SO SO discouraging. And yet, in the midst of all this, there is hope. So much hope. The day after this happened, we had an “angel” who saw the news story and contacted us because he wanted to help. 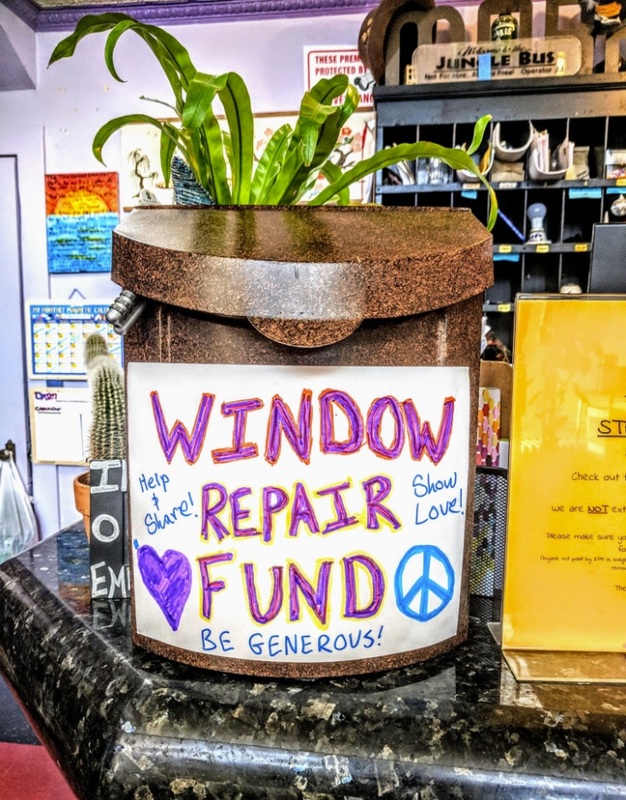 Knowing him only as “Eric”, he came down to the hostel and donated enough money to outright replace one of the windows and softened the blow to our tender budget straight away. He gave without expectation and that’s what it’s all about, boys and girls! We can’t say it enough…as we eek ever closer to our 5th anniversary, we know we have community, and love everywhere! Thanks, Burner and Greater Truckee Meadows community, for loving us as much as we love you. ← Let’s take a trip in the way back machine….